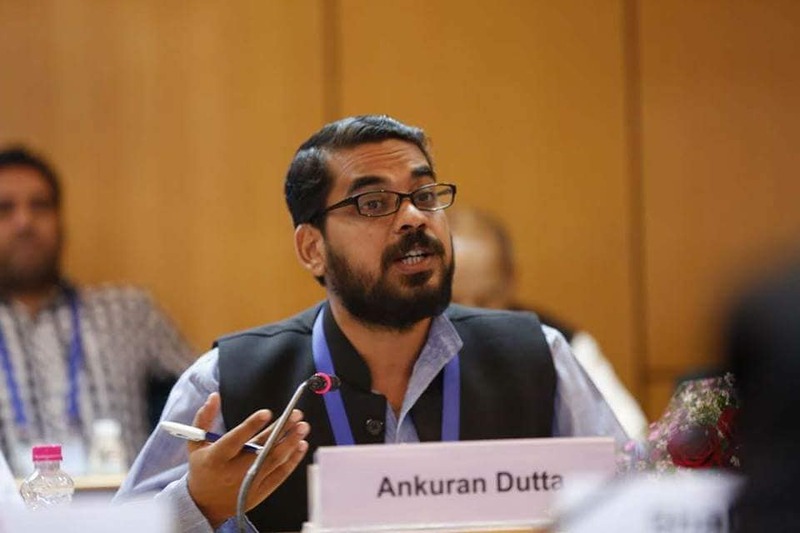 Dr Ankuran Dutta, Head of the Department of Communication and Journalism, Gauhati University has been awarded the National Award for Science and Technology Communication, 2018. The award is conferred annually by the National Council for Science and Technology Communication (NCSTC), Ministry of Science and Technology, Government of India to individuals or institutions for outstanding contribution in the field of science and technology communication and promoting scientific temper which has created significant impact in the country during the last five years. Dr Dutta is the first Assamese science communicator in the region who has been conferred with the award under the category of National Award for Outstanding Efforts in Science & Technology Communication in the Electronic Medium for his consistent and collective promotion of science, technology, risk and health communication through community radio in India and other South Asian countries for decades today. The award will carry a citation, a memento and cash award of Rs two lakh. “This nomination has been very inspiring for me and I feel the cash prize will be donated to Dr Anamika Ray Memorial Trust (ARMT) for undertaking science communication research and practice in the field of community radio and among the students of communication, commemorating the contribution of Dr Anamika Ray to the domain of science communication education in Assam”, said Dr Dutta, Managing Trustee of ARMT.